As we wind down for the year, we wanted to make sure you knew about the final few workshops we have scheduled in 2018! Chris Desautels is a University Park resident whose day job is building and maintaining web applications for the Federal Government. But when he’s not pushing electrons around he likes to work with his hands, building furniture in his small but well-equipped workshop. 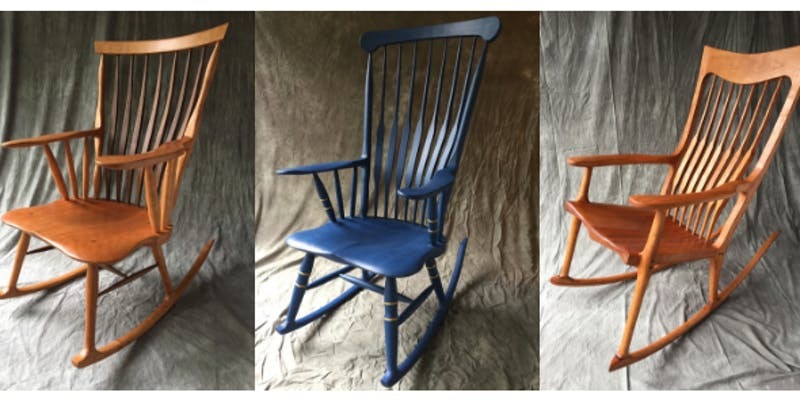 As of late, he has been focusing on building chairs, using a combination of traditional and modern techniques. Join him for a discussion and presentation of the various skills, techniques and tools involved, and his thoughts on traditional versus modern techniques. He will also be showing a few of his recent creations. Join us for a fun, gift-making workshop! 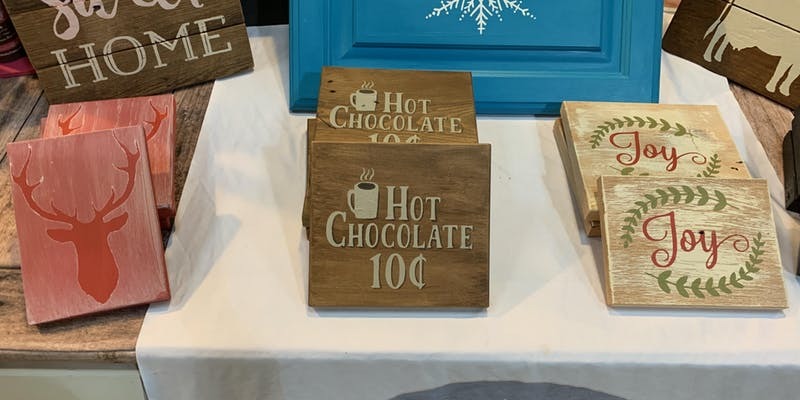 Using chalk paint, stencils, and reclaimed wood, you will be able to make one of three adorable holiday signs. Bring your own surface to craft on for $10, or purchase one from Jen for $20. And we are always searching for new workshop presenters! If you are a tradesperson or creative DIYer and would like to lead a workshop on practical how-to’s or creative reuse, please propose your workshop idea with us here. And please spread the word to your handy friends, too!